I’ve already written in the past about the importance of being prepared. A huge part of that for me has been the greedy consumption of books: how-tos, self-helps, career guides, etc. I’ve read so many that I think it’s about time for a roundup. After the jump, the 20 books that helped me build my freelance life…and that could very well help you too! Idealistic and quite…intense…this book opened my eyes to the wastefulness I’d allowed in my life. It brought back all of the buyer’s remorse. While I didn’t go all the way with it, the mere act of tracking my purchases on a day to day basis made me more mindful of my spending…more thoughtful about the things I chose to spend my money on. It’s a good thing to have a handle on when you’re about to leap into self-employment. After getting a handle on how to spend my money today, Brixey’s book helped me to get a handle on the mess I had already created for myself in my past. I learned about the files I should keep or toss, my credit score and the things that affect it most, and more. In addition, the worksheets throughout the book helped me to realize how much I was risking in my future for the pleasures of instant self-gratification. This is the book that made me feel vindicated in my multitude of interests and goals…all of the things my husband said made me unfocused. It advocated job juggling, and tackled the tough questions, on establishing credibility, maintaining balance, and more. Thinking of starting your own business? This book is the definitive how-to, from A to Z. In this book, I learned how to figure out my start-up costs, draw up a budget, make my business legit, build relationships with clients and customers, handle invoicing, and more. 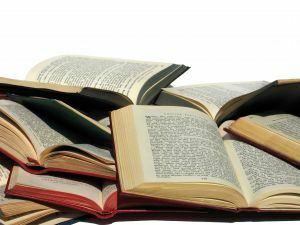 Though I’ve never been much interested in corporate copywriting, these books taught me the importance of setting quantifiable goals, cold-calling, marketing materials, rates, and more. There were many things about this book that I didn’t agree with but, I have to admit…it was definitely food for thought. Despite our differences in opinion, I loved Ferriss’s willingness to bring us back from the brink of fear as a means of moving forward. I was also intrigued by his committment to outsourcing. This book fired me up more than anything else, renewing my motivation when I needed it most. I also loved its chock-full-of-resources content. More than any other book I’ve read, this entire book was like a giant resource section…the kind you find — quite abbreviated — at the backs of other books. 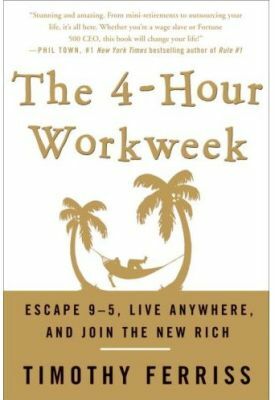 This is a book I read way before I ever left corporate life. I used it as a guide at a time when I was slipping personal essay-writing and magazine pitching into the cracks between work and sleep. Its pages are dog-eared in a number of places, reminding me of a time when I was new to query letters, writers’ contracts, editing processes, online portfolios, and more. 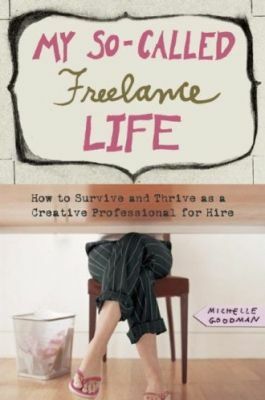 I developed a major freelancer-crush on Michelle Goodman as soon as I opened her first book. 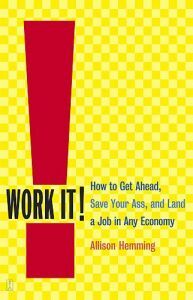 It was the impetus to my leaving full-time book publishing, and it taught me about developing action plans, the possibilities of the patchwork paycheck (whether through telecommuting, job sharing, temping, etc. ), researching your target market, drawing up a business plan, low-cost publicity tactics, and more. This followup to Goodman’s first book takes the next step, diving fully into a full-time freelance lifestyle. It’s the book I wish I had when I first made that particular move. In it, I learned more about targeting my dream clients, the various permutations of the home office, making your business legit, naming your price, and accepting or rejecting projects. One of the more niche books on my shelf, Grobel’s book taught me about self-confidence, preparation, and just about anything else I’d hoped to know about interviewing. It taught me to enjoy the interviews I conducted a whole lot more…to treat them like interesting conversations. My husband bought me this book for Christmas. I didn’t take it personally. It reminded me that I couldn’t allow myself to get lazy about finding new work, I couldn’t get lazy about keeping my resume updated, and I couldn’t get lazy about any of my business correspondence…most especially my query letters. It also taught me how to close the deal. While, by this point, so much of this books seems no-duh, it forced me to think about where my knowledge lay, and then showed me how (with resources) I could break into specific areas of writing. 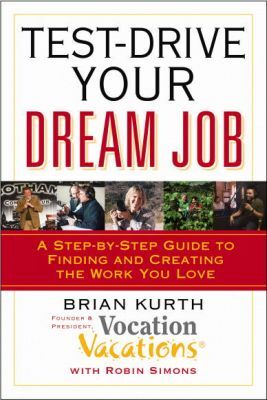 I was way excited when I first came upon Brian Kurth’s Vocation Vacations site, and then even more excited to find that he had a book in which he shares generously his test-a-dream-drive tips. In the pages therein, I learned how to find a mentor (or at least score an informational interview), and I also learned of the tough questions I needed to ask myself before considering a change in career. This one’s another oldie (but goodie). An editor’s advice to writers, Lerner eloquently pinpoints the great paradox of writing (“the great paradox of the writer’s life is how much time he spends alone trying to connect with other people”), while letting writers in on the secrets of the editing process…from pitch to publish, as it were. Home stretch guys! I bought this book in order to answer the one question I always had trouble asking of myself: How much am I worth? Lewis taught me that there are many ways to arrive at an answer. I bought the book because I loved the site (Get a Freelance Life was put out by mediabistro). It didn’t let me down. It contained helpful interviews with other freelance professionals, tips on setting up your home office, networking advice, writer-specific tips, and more. 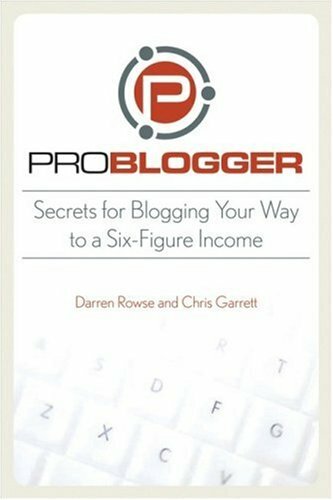 Finally, we have ProBlogger, actually the secret catalyst behind this post. His blog taught me everything I know about blogging, and his book taught me even more. I used it to launch Freelancedom, and I still have yet to make use of its sections on monetizing your blog. It’s a resource I’ll always have use for. Any books I’m missing here? Any I should definitely be reading? Let me know! I’m a big fan of a book titled “Making a Living Without a Job” by Barbara Winter. It was the book that inspired me to start finding more ways to work independently. She writes with humor and great inspiration from many sources, and has a ton of creative ideas about how to be gainfully self-employed. Great list! I liked Six-Figure Freelancing by Kelly James-Enger, too. This is a great comprehensive list. You’ve inspired me to write my own post, and link shamelessly to this one! @Nicole and Susan: Obviously, I’m obsessed with freelance how-tos. I am so gonna have to pick up the books you mentioned. Thanks for the suggestions!